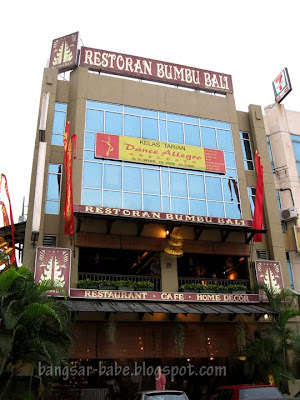 rif has been talking about going to Bumbu Bali for weeks because he has never tried Balinese food. 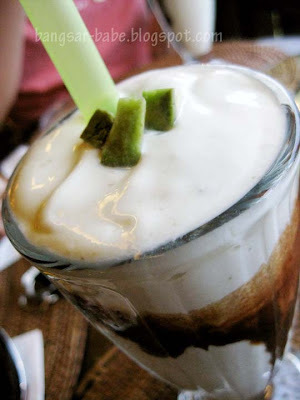 I tried Waterlily Cafe with my friends a few years back so I wasn’t as gung ho as he was. Located in a double-storey shoplot in Bandar Puteri Puchong, the interior is decorated Balinese-style with statues, handicraft and wooden furnitures on display. Apparently, they are all imported from Ubud, Bali. The restaurant lighting is quite dim, great for romantics but not so good for photo taking. Luckily, we got there around 6.45pm because by 7.30pm, the place was fully occupied on both floors. The Avocado Shake (RM9) was thick, milky and not overly sweet. It tasted a lot like vanilla milkshake with a subtle hint of avocado. 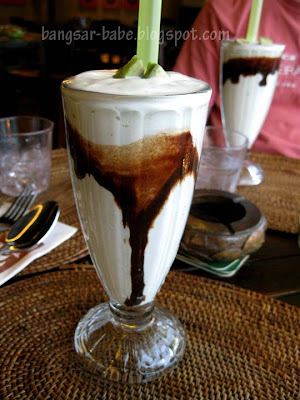 The chocolate drizzle gave the shake an extra oomph! We liked this a lot. 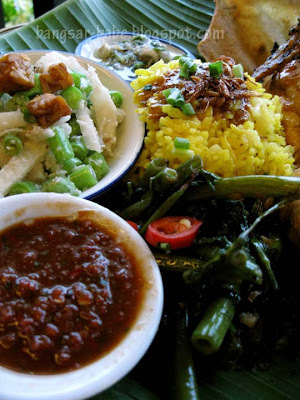 Since I’ve heard so many people rave about the Nasi Campur Bumbu Bali (RM31), I ordered that. You get a choice of chicken or beef rendang, and I went for the former. 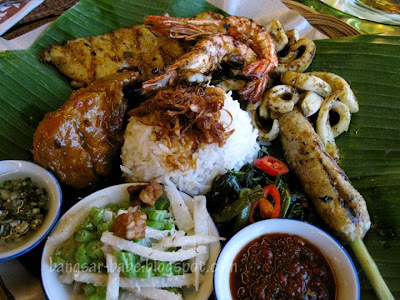 The platter comes with white rice topped with fried shallots, sate lilit, grilled prawns, grilled fish, grilled squid, rendang and kangkung with sambal matah and sambal terasi. Sambal matah is a mixture of oil with raw shallots, lemongrass, bird’s eye chilli and garlic. The sambal terasi is similar to the Malaysian sambal belacan, but it is more pungent because terasi is a very condensed shrimp paste. rif and I liked the sambals, especially the sambal matah. Sate Lilit is a mixture of minced chicken, fish, prawns and squid wrapped around a lemongrass stalk and grilled. 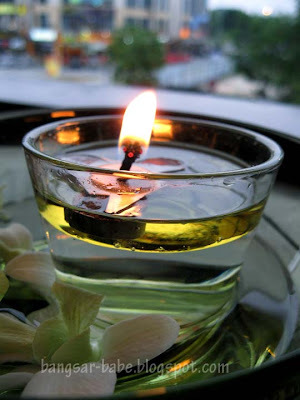 The aroma of lemongrass was well infused in the mixture. I enjoyed this, but rif thought it was average. 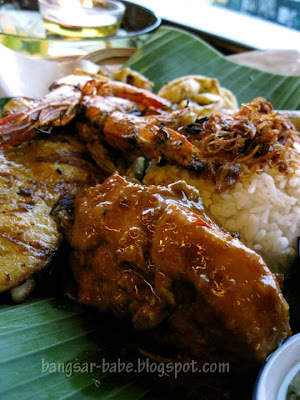 The fish and squid were fresh and tender with a distinct taste from the Balinese spices but the prawns were not fresh. I thought the chicken rendang was nothing to shout about. Since I got the breast meat, it was dry and hard. I reckon the beef rendang would have tasted better. 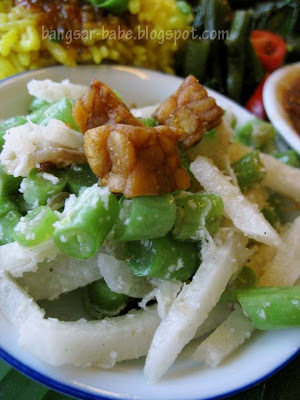 rif ordered the Siap Mepanggang (RM24), one of Bali’s most traditional dishes. 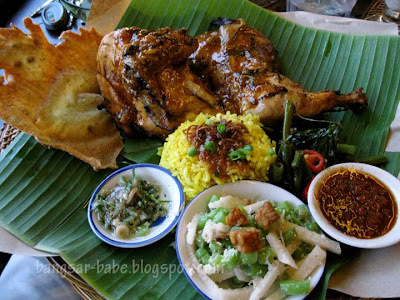 It consists of Nasi Kuning (yellow rice), half a barbecued Balinese chicken with kangkung and repemyeh (crackers made from anchovies). The long-grained rice is flavoured with turmeric, lemongrass and ginger, and cooked in lightly seasoned coconut milk. The grains were fluffy and well separated. This was better and more interesting compared to my white rice. His platter also came with sambal matah and sambal belacan. 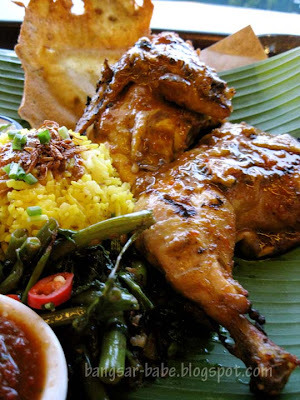 The chicken, marinated in coconut milk and spices was fragrant and tender. I preferred this to my chicken rendang. 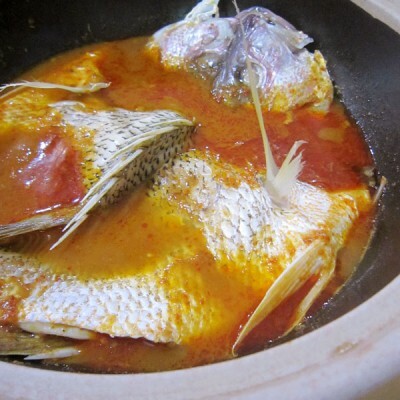 I noticed they use a lot of lemongrass, shallots and coconut milk in the cooking. All the above cost us RM80.30 inclusive of 5% tax and service charge. While the food was quite good, I found it pricey despite the decent portions. Not something I would eat on a regular basis, but on special occasions, yes. Thanks for dinner rif! Verdict: Pretty good food and generous portions at mid-range prices. 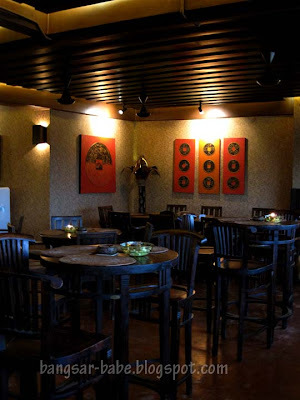 never been to this place yet..but heard that it was the ori of Ole Ole Bali at Solaris. The food there is good. I have eaten in this place a couple of occasions and find the food too salty all the time. I stopped going altogether since 3-4 years ago. I am surprised they are packing in the crowds. Must have improved alot. the western food n laksa also not bad…. 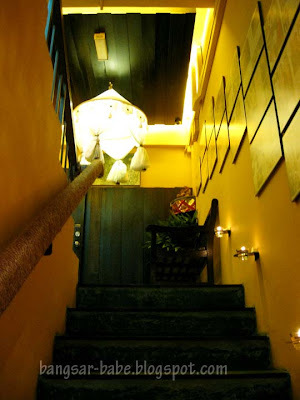 The owner is a Chinese whose wife is from Bali… and boy she can whip out amazing Balinese dishes… came here once few years back but I had not started blogging at that time. Anyway, if I'm not mistaken… he's the same owner for Ole-Ole Bali in Solaris and Sunway Pyramid. Been here twice… awesome meal on both accounts! Portions are generous. Can be warm on a humid/hot day… so dress suitably. huge portions of abit of everything here n there..looks quite appetising though.. 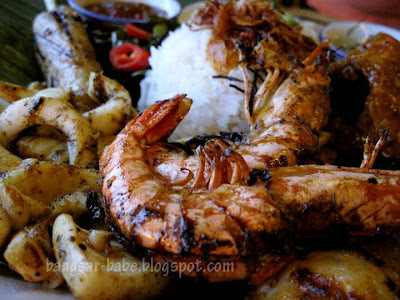 I think bumbu bali's great. food's fine, ambience is good too. but i think ole ole bali has a slight edge over it. the deco at soho kl's real comfy and not overly-traditional. have u tried it there? This is an immensely popular place – always full & doing a roaring biz! Luv the deco too. Food is also interesting. 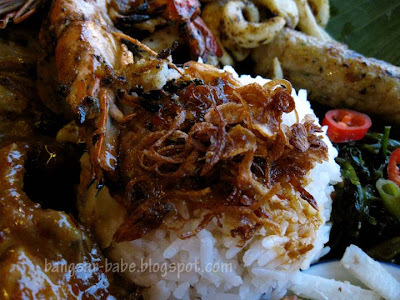 EVo – Walked past ole ole bali many times, but have yet to try it. Will make it a point to try…I hope it won't put a dent in my wallet! Frat – Agree, it was slightly humid that night! Lucky thing I wore shorts. SimpleGirl – Ooooooohh…more things to try! I'm drooling already. Just came back from Bali so I'm still craving for their local food. 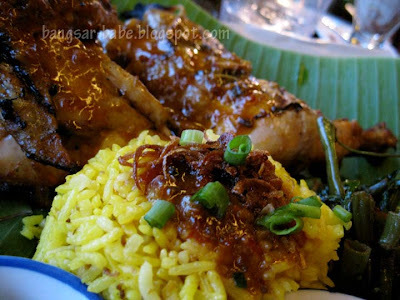 Had something similar to the Nasi Bumbu Bali. Cheers! Heard about this place before, but i think they are quite expensive!